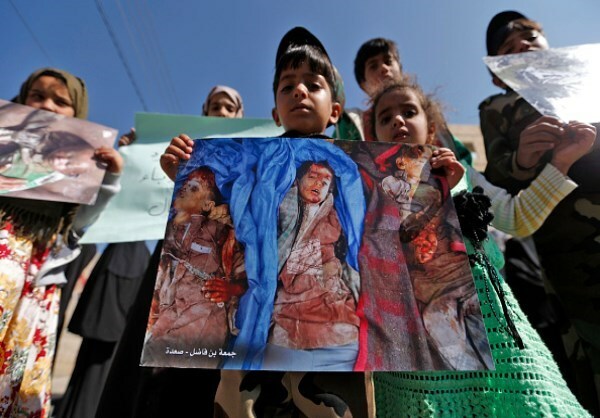 Yemen: 3 Years of War – Stop the Wars at Home and Abroad! Yemen is “the world’s largest man-made humanitarian crisis”. Those were the words of UN special envoy for Yemen, Ismail Ould Cheikh Ahmed, as he gave his final briefing to the UN security council on the situation in Yemen. In this briefing, not once were the daily aggression and airstrikes against the people of Yemen led by Saudi Arabia mentioned. He also made no mention of the cruel sea, air and land blockade imposed by Saudi Arabia on Yemen. 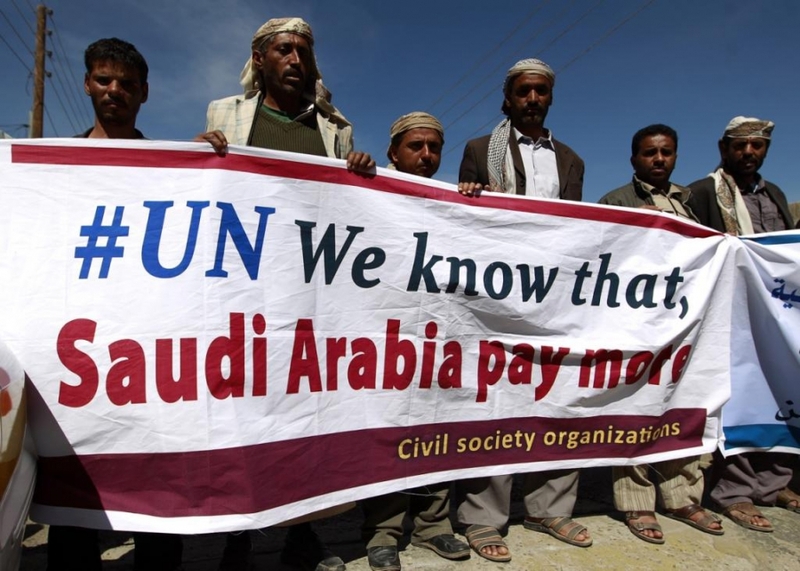 Instead Ismail Ould Cheikh Ahmed highlighted Saudi Arabia and the United Arab Emirates’ financial pledge “to support humanitarian action and reconstruction in Yemen”. This is a farce and a mockery thrown in the faces of the Yemeni people that continue to struggle for their lives under daily Saudi-led coalition bombing campaign! 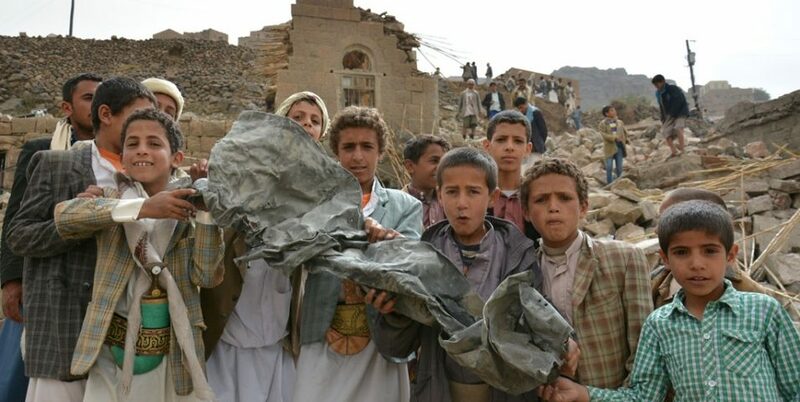 On the same day, February 27, 2018, that Ismail Ould Cheikh Ahmed gave his speech, a Saudi airstrike killed five civilians and wounded at least 14, including children, outside the northern Yemeni city of Saada. According to a Reuters photographer who witnessed the wreckage, a first airstrike hit and destroyed a house, then two further airstrikes followed targeting paramedics who were trying to save victims from under the debris. This targeting and killing of civilians by the Saudi-led coalition and its allies is far from being an isolated occurrence. The Saudi government has a track record of targeting civilian infrastructure including homes, schools, hospitals, universities, mosques, refugee camps, funeral and wedding halls, markets, sanitation facilities, cultural centre and even historical sites. Backed by the United States, Saudi Arabia started its brutal war against Yemen in March 2015, claiming that it wants to bring peace and stability to the country by reinstating to power their puppet, former president Abd-Rabbu Mansour Hadi. Today, after 3 years of indiscriminate and brutal bombing campaign on Yemen, more than 15,000 people have been killed and thousands more have been injured. According to the United Nations, a record 22.2 million people (80% of population) are in need of humanitarian assistance, including 8.4 million threatened by severe hunger. The bombing of vital civilian infrastructure and the continuation of the criminal land, air and sea blockade on Yemen have aggravated the humanitarian situation. The lack of food, medicine and proper health facilities plunged the country into a a cholera outbreak with over 1 million recorded cases around the country as per the World Health Organization (WHO). In addition to cholera, diphtheria is making an alarming comeback into Yemen, with over 1000 suspected cases. Diphtheria is a highly contagious bacterial infection of the nose and throat that can be fatal if left untreated. According to WHO, already 66 have died of the disease, 47% of them are children under the age of 5. According to an article by the United Nations Population Fund (UNFPA) dating to March 23, 2017 : “Yemen already has one of the highest maternal death rates in the Arab region. But food scarcity is putting the lives of 352,000 pregnant women at risk, and it could harm the health of 2.2 million women of childbearing age who are in urgent need of assistance and protection, according to UNFPA calculations from January 2017. In addition to their own suffering, Yemeni women are bearing the brunt of the suffering of their families and community under the war. In a lot of cases, they find themselves the only one left to care for and feed their families. Despite their lives being gravely affected by the war on their country, Yemeni women are staying resilient and strong in the face of the Saudi-led aggression on their country. Last year in March 2017, marking International Women’s Day IWD, Yemeni women staged a three-day sit-in outside the UN office in the capital city of Sana’a, demanding an end to the US-backed war on their country. Pictures from the protest showed women and girls of all ages, carrying Yemeni flags and signs calling for the lifting of the Saudi air, land and naval blockade on Yemen. This year again Yemeni women will be marking IWD by standing up for their families and their country and protesting against the atrocious Saudi-led coalition war on their beloved country. Despite being politically, militarily and logistically supported by the United States, the UK and other major imperialist countries, the Saudi government is failing to achieve any of its so called goals in Yemen. As we enter the third year of the war, Abd-Rabbu Mansour Hadi is still hiding in his masters’ palace in Riyadh, Saudi Arabia, and the people of Yemen are facing the world’s worst humanitarian crisis. The United States government is a direct accomplice of this humanitarian catastrophe. “It is U.S. refueling planes flying in the sky around Yemen that restock the Saudi fighter jets with fuel, allowing them to drop more ordnance… It is U.S.-made ordnance that is carried on these planes and dropped on civilian and infrastructure targets inside Yemen. The United States is part of this coalition. The bombing campaign that has caused the cholera outbreak could not happen without us.” Those were the words of US Senator Chris Murphy speaking from the senate floor on November 14, 2017. It is not only the U.S. that continues selling arms to Saudi Arabia and its allied coalition. Its neighbour to the north Canada, has been trying to keep quiet the fact that in 2016 “Saudi Arabia was the largest non-U.S. importer of Canadian-made military goods.” as the National Post reported. The Canadian government is also moving ahead with a $15 billion arms deals to supply Saudi Arabia with light-armored vehicles LAV which come equipped with heavy guns and cannon. As peace loving people in Canada, and around the world we must stand next to our brothers and sisters in Yemen in their resistance against the Saudi-led war on their country. We must keep our imperialist governments accountable for their complicity in the crimes committed against the brave and innocent people of Yemen. 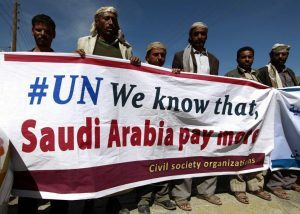 US/Saudi Arabia Hands off Yemen! 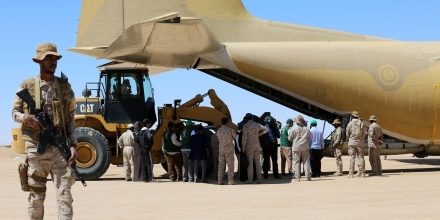 All Foreign Troops Out of Yemen! 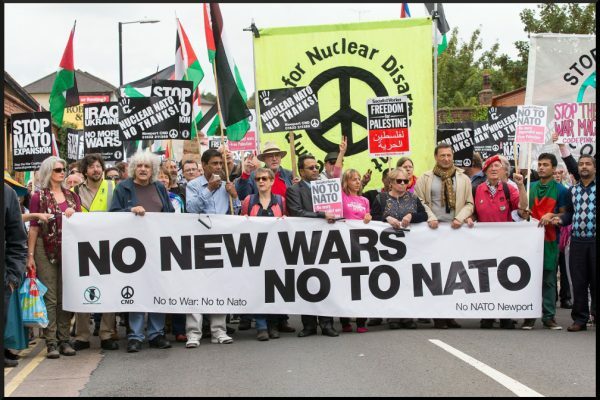 Lift the Naval, Aerial and Land Blockade on Yemen!